(Seychelles News Agency) - A report by the United States Coast Guard (USCG) has found that Seychelles is not maintaining effective anti-terrorism measures at its port. 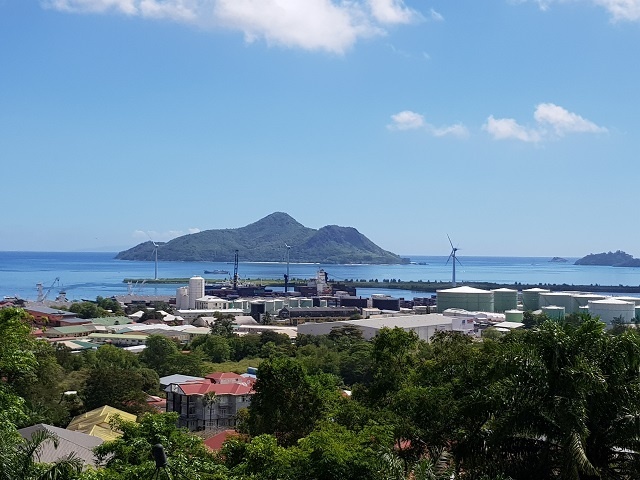 The Seychelles Port Authority chair, Paul Hodoul, said the island nation wants to comply with the US standards but that “it is difficult for us to become ISPS compliant as there are many physical constraints at the port,” including the location of the administration building. According to an article on www.maritimenews.com, the deficiencies identified have been included in the International Port Security report, prepared by USCG as part of the International Port Security Programme. The programme seeks to reduce risks to US maritime interests and to ease secure maritime trade globally. As part of the programme, officials visit ports and discuss the implementation and compliance to the ISPS code and other port security measures. Hodoul added that the ISPS Code is a code implemented by USCG after the terrorist attack known as 9/11 in September 2001 and that it is difficult for Seychelles’ port to comply to the code on account of the state and design of Victoria Port, which was built decades ago, in 1972. “The code states that nobody should be allowed to enter the port for any reason and that the administration building should not be here but rather should be located next to the fence so the public does not have access to the port,” Hodoul told reporters “This means we have to demolish the building where our offices are housed,” he added. Hodoul said the port extension project, which is currently in the design phase takes into account the numerous recommendations of the ISPS report to ensure that Seychelles – a group of 115 islands in the western Indian Ocean - is compliant with the code in future. Following the publication of the report, the United States Coast Guard is as of April 12 imposing conditions of entry on vessels arriving in US waters that have visited a port of the island nation in its last five port calls. The article on www.maritimenews.com explained that conditions of entry are intended “to protect the US from countries found to have deficient anti-terrorism port measures in place” and even lists the deficiencies found in ports in Seychelles including deficient access control measures, cargo control measures and deficient facility monitoring measures. The article stated that the island nation was notified of this in May 2018 and that USCG has provided recommendations to improve antiterrorism measures. This issue was a point of discussion between the US ambassador to the island nation, David Reimer, and President Danny Faure on Thursday. Reimer who paid a courtesy call to the head of state, said both governments are going to work very hard to get Seychelles off that list. Hodoul gave his reassurances, that no operations including trade will be affected by the decision and added that currently, an American officer from the Naval Criminal Investigations Service is currently in the country to assist the local authority. “Amidst the discussions about port security, we are working together with him to design the port extension project,” said Hodoul adding that officials concerned with port security will also receive training from US Coast guards periodically, an initiative which Hodoul said serves to build confidence that port officials are trained and skilled in port safety and security. 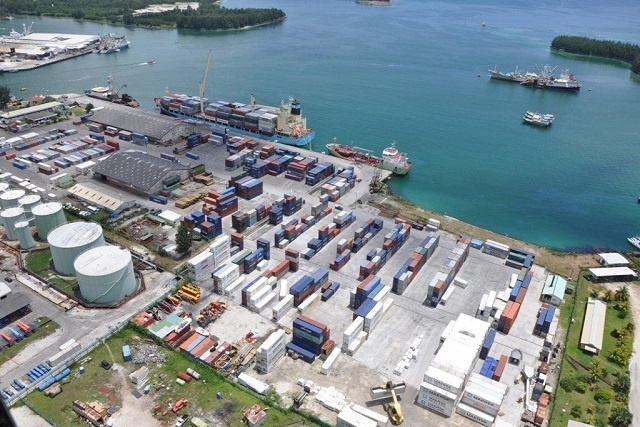 For the extension project of Port Victoria, the Seychelles Ports Authority has received $41 million -- $35 million from the Agence Française de Développement (AFD) and the European Investment Bank (EIB). The European Union (EU) has also provided a grant of around $6 million. The project is expected to be completed by 2021.